Welcome home to this gorgeous and rare ranch home in the heart of the desirable Willow Creek community. Step through the stunning front entry and into an open foyer with hardwood floors, soaring ceilings, exposed beams, a brick fireplace, and an abundance of natural light. Enjoy entertaining in the remodeled kitchen featuring stainless steel appliances, granite countertops, an island and luxurious bar seating. 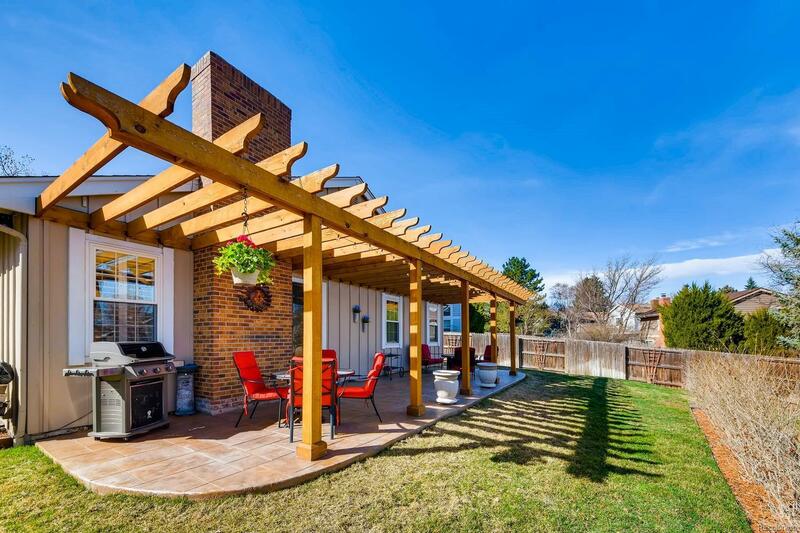 Relax on the idyllic patio shaded by a natural wood pergola in your spacious backyard, perfect for entertaining. Desirable location in Cherry Creek School District, close to the light rail, DTC, entertainment, shopping, parks, hiking trails, and Park Meadows Mall!